Determining residential status: We help you to know about whether you qualify as an Indian resident for a financial year or considered as a Non-Resident Individuals. Compliance with various laws such as Income Tax Act or FEMA or RBI guidelines. We will help you in seeking relief from DTAA between two countries. Under DTAA, there two methods to claim tax relief- exemption method or tax credit method. NRI Services is required to file an income tax return by the NRI, when he has any income that is accrued or has been received in India. When income accrue or arise in India? NRI is required to pay tax on any income that accrues or arises in India or is received in India. So salary received, rental income, interest income from fixed deposits or saving bank accounts and capital gains on assets sold in India by a NRI are taxable. If the income of an NRI is more than the basic exemption limit for the year, he or she is liable to file the return in India. Also, to claim tax refunds, or to carry forward losses to future years, NRIs have to file a return. Any income received in India or as per law it is deemed to be received in India by you or on your behalf. Any income that accrues or arises in India or as per law it is deemed to be accrues or arises in India. 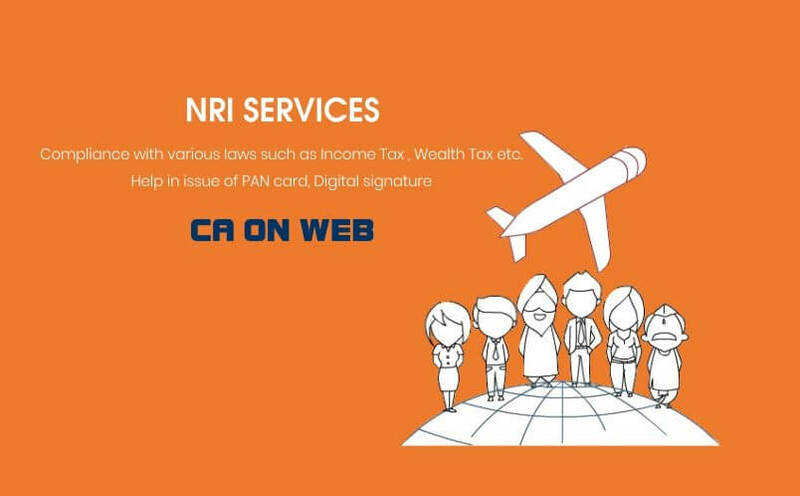 CA on web helps you in obtaining Permanent Account Number and Digital Signature, Income Tax Return Filing and advice on reducing tax liability in India, advice on tax saving investments and handling of inheritance and so on. As per Income tax act, 1961 whether you are NRI or not, any individual whose income exceeds INR 250000 is required to file an income tax return in India. NRI must file their returns when they have a loss that they want to carry forward or they want to claim a refund. CAONWEB team will provide you with experienced and professional CAs who would be having expertise in taxation of foreign income and they will help you in tax savings, avoiding double taxation, handling of inheritance and helping Indian residents in a declaration of income from foreign assets/bank accounts.